Editor's note: The American Village Institute, teaching the dying skills and concept of «elf-sufficiency, is a source of hand- and foot-operated tools made from traditional designs and materials. In many ways the American Village Institute is perhaps the most unusual nonprofit research and educational organization currently active in the field of alternatives. Young, but rapidiy growing, the AVI was begun in early 1975 by a small group of dedicated "villagers" who saw the need for a comprehensive institute entirely devoted to teaching people how to become more self-sufficient. Not just to be self-sufficient individuals, but also how to create reasonably self-sufficient communities. It is this emphasis on small-community—or village—development that l;es at the heart of the AVI concept. In order to fully understand the objectives of the AVI, it is first necessary to understand what is meant by the term "village." In brief, a village is defined as a simple composite of family farms, tradespeople, and a marketplace. It is further distinguished by the fact that most of its inhabitants can and do provide most of their own basic necessities, and at least some of tiieir niceties, It is also perhaps the largest form of socioeconomic grouping that can still function entirely on the basis of trade, barter, and the exchange of; labor. With this definition it is easy to see how the village concept can provide a very useful framework for exploring the entire area of self-sufficiency and appropriate technology. By using this village approach, the AVI is developing a broad research and educational program that has many innovative features. One of the most important of these has to do with the study and design of appropriate tools and equipment, and the teaching of the skills necessary to make and use them. and gain at least a working familiarity with all the skills necessary to provide the basics of food, clothing, shelter, and tools. Although still in the initial phase of development, it is envisioned that each student who completes the entire course will have the knowledge and ability to create a very comfortable, yet highly self-sufficient way of life. This focus on tools and related technology is not accidental. 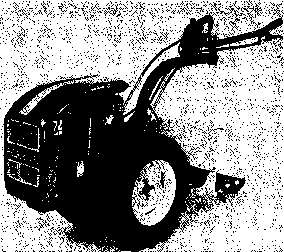 In fact, one of the primary reasons the AVI was established was because there were no longer any sources for many of the hand- and foot-operated ux>ls ami equipment common to rural America up until the 1940s. The object from the beginning was threefold: first, to make available many of these items that have faded into the past (or are collecting dust in antique shops); second, to reintroduce a new standard of quality in design, craftsmanship, and materials; and third, to provide a. reliable method of funding for an apprentice-style craft and trade school. Specific products have not only been selected because of their traditional use, but also because they require a broad range of crafts and 'kills in the making. They also reflect the type and range of products many students will begin producing once they have established their own shops. In addition to making traditional tools and equipment, the Institute has also begun to develop many of the older methods and processes that were originally used to make these tools. This begins with the basic methods of extracting and refining raw materials and carries through to the last touches on the final product. For the most part, the emphasis is 011 the use of hand and foot power—though there is also an attempt to recreate and/or improve upon earlier uses of water, wind, and animal power. This work is aimed at developing a contemporary version of ail the loois, hardware, and technology that were typical of an average early American village—as well as the knowledge and skills necessary to use them. The object is not to recreate the past out of curiosity, but rather to regain much of what has been forgotten and integrate that knowledge with what is being learned today. 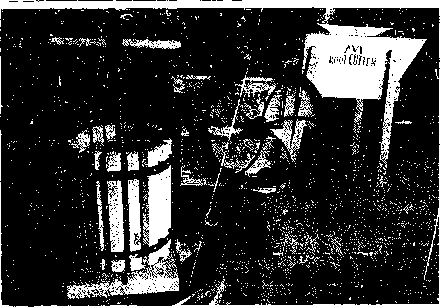 Three of the implements manufactured by AVI (left to right): a cider press, a corn shelter, and a root cutter. 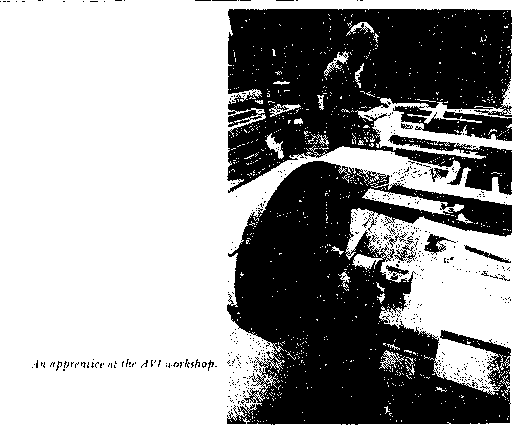 In addition to the apprenticeship program, the Institute is also developing a more general course of instruction in applied (appropriate) technology This program was scheduled to begin in early October 1977 and to include a variety of subjects ranging from organic farming to the design and construction of energy-efficient architecture. The emphasis is on teaching the underlying principles upon which ul! technology is based, and how to apply those principles in the development of contemporary village-scale communities. The Institute is also beginning publication of a series of technical (how-to) manuals that will cover all aspects of self-sufficiency at both the family and village levels. Other publications, like the Institute's bimonthly magazine The Cider Press, are intended to provide a more general view of how self-sufficiency can be related to a contemporary village structure. Perhap-, one of the most unique features of the AVI is its growing membership program. Based on the belief that more people will become self-sufficient once it is technically and financially easier to do . *», this program otters members the opportunity to contribute their own time, energy, and talents to the overall AVI effort—and in return, receive all the benefits that tilts combined effort ran produce, la many respects this cooperative approach allows individual members to get: back considerably more than they put in. it also dramatically increases the effectiveness of the entire organization. For example, the apprenticeship program is open to all members tuition-free (including room & board); i/2 turn, the product* made by the apprentices (hiring the course of their training are available to the general membership for the cost of producing them (no profit is added). This serves the dual purpose of providing free training for those who desire it, and highly crafted, exceptionally low-cost tools and equipment for those who need thern. The membership program also provides a much-needed outlet for the many creative people throughout the country who would like to become involved in Alternative research and education, but have been unable to find an organization that can translate their energies into constructive projects. Much of the Institute s research, ss well as material for publications, comes from the more than 3,000 members ii; the United States and many foreign countries. Participating members from many universities, indusirjes, craftshops, and farms across the country provide the Institute with a steady influx of valuable research information, suggestions, and ideas. In fact, many of these people have since become permanent members of the Institute's faculty and staff. but :t3so promises to become the most direct way tor many people to achieve a greater level of control over their basic needs. By working within this concept, the American Village Institute has begun to create a new direction that can get people involved in a very meaningful way. Because of this cooperative approach, the AVI has become a powerful catalyst for change.